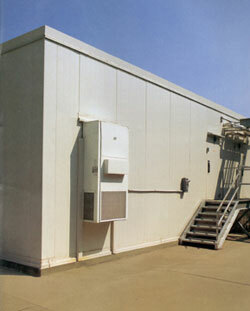 Bally Refrigerated Buildings and Warehouses deliver the maximum in strength and convenience. Regardless of what kind of business you're in, Bally provides refrigerated buildings to meet the needs of each individual customer. Bally Refrigerated Buildings and Warehouses deliver on all levels. Bally's insulated panels are manufactured with poured-in-place non-ozone depleting urethane, which keeps energy costs to a minimum. The lightweight panels are available in 4", 5", and 6" thickness, and heights up to 27'4" in a single tier. All of our panels are UL and FM listed, EISA compliant, and the have capability for NSF Certification. Bally's Speed-Lok joining mechanism forms a tight, secure joint, holding warm air out and cold air in. 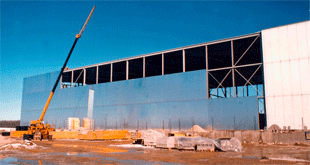 Speed-Loks join all panels: wall to wall, ceiling to wall, and floor to wall to create a complete vapor barrier system. 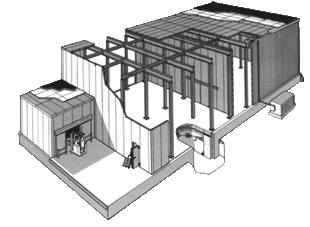 Speed-Loks also provide easy assembly or disassembly for expansion or relocation. cost-effective solution to meet your needs. These structures are proven dependable in many different applications, and are reliable investments in today's market. All outdoor Walk-Ins must have a roof. © Bally Refrigerated Boxes, Inc.